Today I show you Hotel Arts. 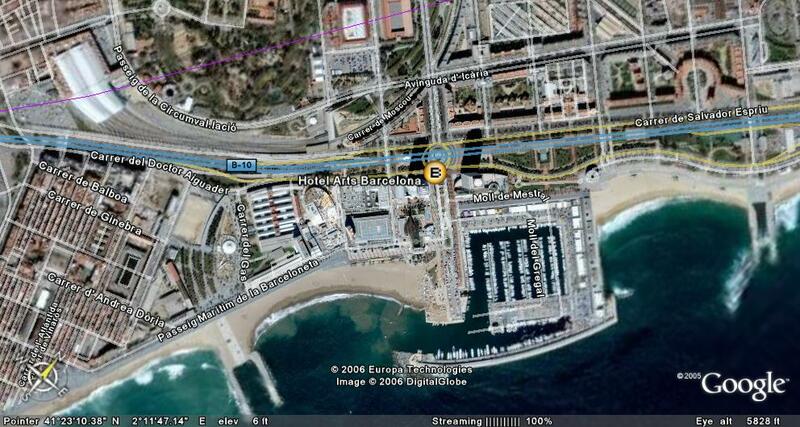 Built for the Olympics, it is a predominant building in the skyline of Barcelona and the beach area. A combination of luxury, modern design, and functionality gives this five star hotel a high rank in top lists all over the world. Recently you could see Harrison Ford or Mourinyo staying there. It was the place where Ronaldiño lodged when he came to Barcelona. 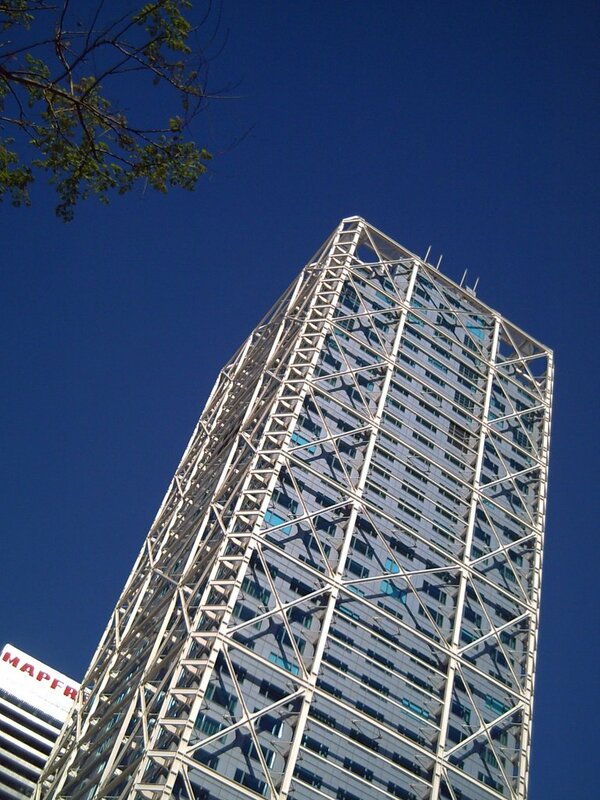 The Ritz-Carlton Hotel Arts Barcelona was designed by the notable architecture firm Skidmore Owings and Merrill and it has 44 floors. In 2005 there were 10.931.637 hotel stays, more than 49.235 hotel rooms and 5.052.766 visitors according to official figures. Nice post. Must be very expensive to stay there. Yes quite expensive. Of course not everybody can afford it, but I wanted to show a representative hotel in a nice picture to give some figures about hotel accommodation in Barcelona.